The Pennsylvania State University is seeking two Title IX Compliance Specialists to provide support to the University’s Title IX Coordinator in creating a safe and respectful educational environment through preventing and addressing instances of sexual and gender-based harassment and misconduct on our campuses. Title IX Compliance Specialists will provide prompt and effective action when complaints of discrimination are reported at University Park and other campuses in the University system, and will assist in monitoring the processing of cases for compliance with applicable laws. Title IX Compliance Specialists will respond to and investigate reports of alleged sexual and/or gender-based harassment and misconduct in a prompt and thorough manner, focusing on reports generating from the Commonwealth Campuses; prepare investigative reports and communicate findings to parties and relevant University stakeholders; assist in coordinating the provision of resources and support services for individuals involved in reports of sexual or gender-based harassment and misconduct; assist in maintaining a database related to reports of sexual and/or gender-based harassment and misconduct, and develop reports, assess trends, and identify areas of concern in the campus environment; assist the Title IX Coordinator in reviewing and revising policies and procedures related to incidents of sexual and gender-based harassment or misconduct to ensure with compliance with the law and alignment with best practices; conduct regular travel to assigned commonwealth campuses to respond to reports of alleged sexual and/or gender-based harassment and misconduct, deliver training, and support campus Title IX efforts. 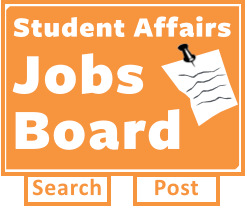 This position will work closely with other relevant units across the University, including the Office of Student Conduct, the Affirmative Action Office, Ethics and Compliance, Human Resources, Risk Management, the Office of General Counsel. Typically requires a Bachelor’s degree or higher plus four years of related experience, or an equivalent combination of education and experience. A Bachelor’s degree in public health, human services, social work, psychology, education, or a related field preferred. A Juris Doctor or MSW is highly preferred. The successful candidate must demonstrate a high degree of personal/professional ethics and an ability to maintain professional boundaries; knowledge of trauma-informed investigative techniques; an ability to establish rapport and work cooperatively with various levels of faculty, staff, students, and outside agencies; knowledge of federal, state, and local laws, statutes, regulations related to Title IX and the Violence Against Women Act; outstanding customer service abilities; excellent verbal and written communication skills; excellent analytical, judgment, and organization skills; and an ability to work with a variety of cultures and backgrounds. This is a fixed-term appointment funded through June 30, 2018 with excellent possibility of re-funding.